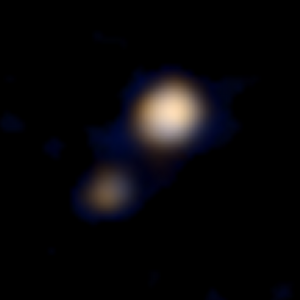 Using the Ralph color imager, one of its seven sophisticated instruments, New Horizons took its first color images of Pluto and Charon on April 9. The images were released on April 14, exactly three months before the spacecraft’s planned flyby of the Pluto system and its tiny moons. These tantalizing images are just the teaser for what will come this summer when the spacecraft flies past Pluto. Taken from a distance of 71 million miles, approximately the same as the distance from the Sun to Venus, the images, while extremely blurry, do allow for differences between the two worlds can still be seen. To commemorate the occasion, NASA hosted two briefings, both open to the public, at its headquarters in Washington, D.C. The first, titled “New Horizons Media Briefing: Seeing Pluto as Never Before”, featured a panel of five speakers: John Grunsfeld, Science Mission Directorate associate administrator, NASA Headquarters, Washington; James Green, director of Planetary Science, NASA Headquarters; Alan Stern, New Horizons principal investigator, Southwest Research Institute, Boulder, Colorado; William McKinnon, New Horizons co-investigator, Washington University, St. Louis; and Cathy Olkin, New Horizons Deputy project scientist, Southwest Research Institute, Boulder, Colorado. The second panel, titled “New Horizons Media Briefing: Getting to Pluto”, consisted of: Glen Fountain, New Horizons project manager, Johns Hopkins University Applied Physics Laboratory, Laurel, Maryland; Hal Weaver, New Horizons project scientist, Johns Hopkins University Applied Physics Laboratory, Laurel, Maryland; plus Alan Stern and James Green. Both briefings were followed by question and answer sessions, with queries coming by phone from media outlets, through social media, and by those present in the room. 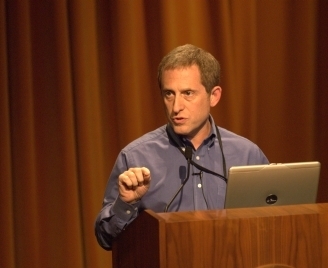 “Scientific literature is filled with papers on the characteristics of Pluto and its moons from ground based and Earth-orbiting space observations, but we’ve never studied Pluto up close and personal,” Grunsfeld emphasized. “In an unprecedented flyby this July, our knowledge of what the Pluto system is really like will expand exponentially and I have no doubt there will be exciting discoveries,” he said. Green noted Pluto appears bright and red while Charon looks to be dimmer. He also put the mission into the context of 50 years of planetary exploration. “We’ve methodically explored our Solar System. We started off with flybys. That’s our major first step in early reconnaissance of the Solar System. From flybys, we learn there what we want to go back to. We then orbit – more complicated missions.” These are followed by landing, roving, and even returning samples of other worlds, he noted. “We’re at stage one now of completing that first initial step by flying by Pluto and the Pluto system,” Green said. Stern emphasized that New Horizons is a mission of “firsts” – first mission to a binary planet, first to the Kuiper Belt, first in NASA’s New Frontiers program, and first to the Pluto system. 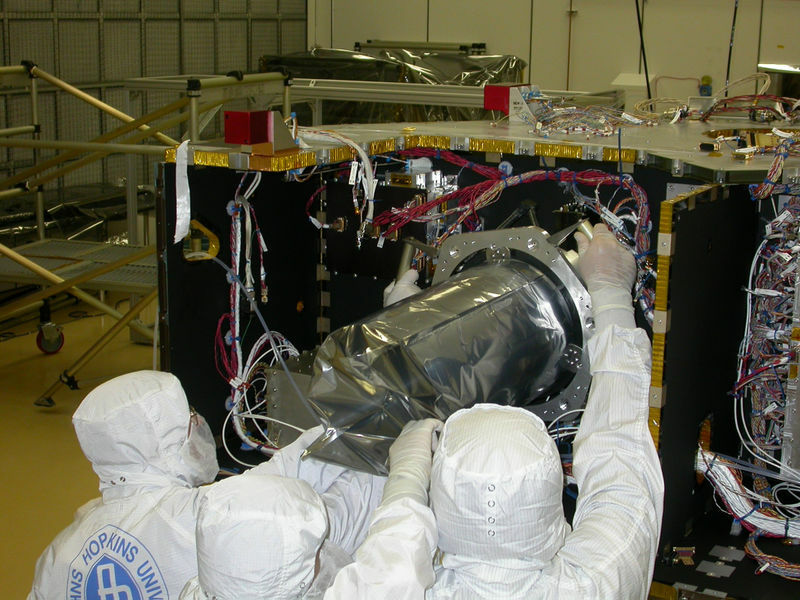 It is also the first PI-led mission to an outer planet and the first to carry a student-built instrument, the Venetia Burney Student Dust Counter (SDC ). “More than 2,500 Americans took part in building the spacecraft, which is small and compact but has tremendous capability,” Stern said. Though New Horizons has traveled three-and-a-half billion miles over more than nine years to get to the Pluto system, the spacecraft is in perfect health and full of fuel, he reported. Its seven sophisticated instruments, which Stern described as “the most powerful suite of instruments ever on first reconnaissance of a new planet…”, run on only 28 watts. The briefings covered the timeline of mission activities in the run up to July 14, along with a description of each instrument and the process of downlinking data, which will take up to 16 months after the flyby. Speakers also discussed precautions being taken to avoid collision with even the smallest dust particles, noting detailed studies of Pluto’s environment resulted in the discovery of its four small moons. They outlined everything currently known about the Pluto system, speculating about what might be found. Stern described Pluto as a complex body that has seasons, an atmosphere, and surface markings that move over time, indicating an exchanging of materials between its surface and atmosphere. Its surface has three known volatiles, nitrogen, carbon dioxide, and methane. Charon, in contrast, has only water ice and no volatiles on its surface. Its interior is less rocky, and it has no known atmosphere. However, it does show signs of an active surface. Some scientists speculate Pluto’s surface will contain “spider patterns ” like those seen on Mars, caused by carbon dioxide erupting from dry ice as summer begins in one of the polar regions. Pluto’s north pole is just entering its summer season, meaning the time could be ripe for the eruption of ice geysers. Sunlight hitting the region could set off eruptions of nitrogen ice and gas onto the surface, leaving dark linear patterns like those observed at the Martian poles. Hubble images cannot resolve any features on Pluto’s surface, but scientists using the space telescope have observed changes in color and lighting on the planet’s surface. “We are pretty close to polar summer – so there is a lot of frost there to sublimate,” noted Bonnie Buratti of NASA’s Jet Propulsion Laboratory. McKinnon believes Pluto’s architecture will provide important clues about its origin and conditions in the ancient Kuiper Belt. He presented a computer simulation video showing an impact of two Pluto-like objects to illustrate the formation process of Charon and the smaller moons. New Horizons has three levels of scientific goals, as determined by NASA. The top priority are requirements; the next are important, and the third are desired. Required objectives, categorized as Group 1, include understanding the global geology and morphology of Pluto and Charon, determining the surface composition of Pluto and Charon, studying its neutral atmosphere, determining that atmosphere’s composition and structure, and observing the atmospheric escape rates of both bodies. Important objectives, designated as Group 2, include timing the variability on the surfaces of Pluto and Charon, stereo imaging the topography of both worlds to obtain very high resolution images of their surfaces, and measuring the composition of their atmospheres, which includes searching for minor components such as hydrocarbons. Additional important goals include studying the interaction between Pluto’s ionosphere and the solar wind, measuring albedo and surface temperatures, and searching for an atmosphere on Charon. Desired goals, deemed Group 3, include looking for additional moons and a ring system, determining whether Pluto has a magnetic field, studying the energetic particle environment, and searching for interaction between a magnetic field and the solar wind. The New Horizons team plans to accomplish all three sets of objectives. As the spacecraft departs, it will fly through the escaping part of Pluto’s atmosphere. One hemisphere of Pluto and Charon will be completely mapped after being imaged with LORRI and Ralph. 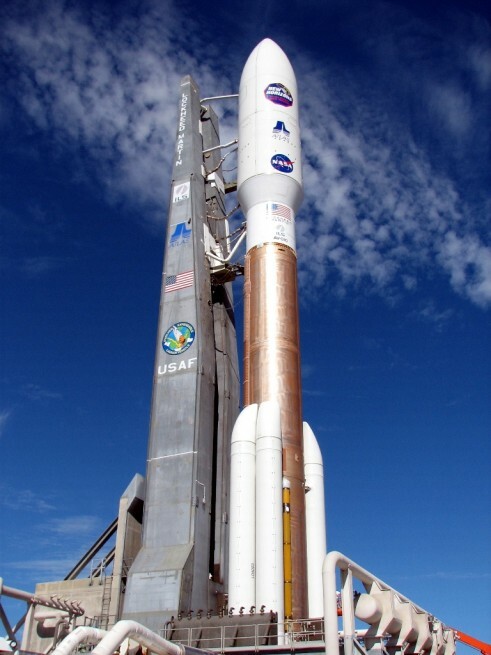 The other hemisphere will be observed three days before flyby using LORRI. Because the latter hemisphere is in complete darkness, the spacecraft will look back with LORRI when Charon is behind Pluto, using Charon’s moonlight to illuminate Pluto’s shadowed regions. When all the data is in, the team expects to have nearly global maps of Pluto and Charon and good imagery of the small moons. Laurel Kornfeld is a great science writer. I can’t wait for July. I’m 80 and am feeling super so will probably be able to see the close-up photos of Pluto and its little moons. To help me appreciate the exploration of space I’ve got the internet. What an age we live in! This is stuff I used to read about in the ’50s only we called it science fiction.